SLP SA specializes in replacement spare parts suitable for Volvo heavy vehicles, such as trucks, buses, wheel loaders, articulated haulers, excavators, backhoe loaders and marine/industrial Penta engines. SLP South Africa was started in 2006 and was appointed as the official and exclusive distributor for Swedish Lorry Parts AB in Southern Africa. 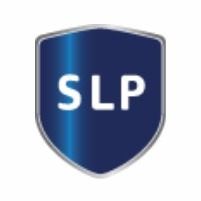 One vital detail of SLP South Africa business is, and has always been quality. Our customers can rely on the fact that the parts from us have the same quality or better than the original parts. SLP South Africa can reference any OE part number and if it is not available from our stock we will be able to offer an express service to get these items in within days. We strive to keep both our product and service at the highest quality to keep YOU, our customer, running smoothly and at an affordable cost!